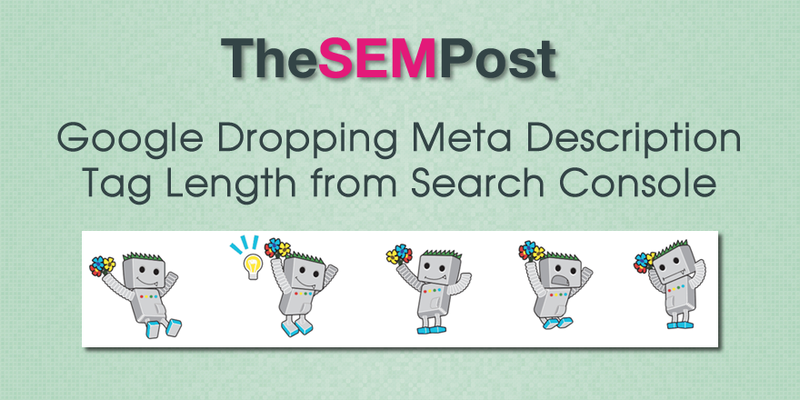 Ever since Google has very publicly taken the stance that they do not have a recommended character count for meta description tags, some have wondered what that means for the meta tag warnings in Google Search Console that alerts site owners when their meta description tags are too long or too short. But with no character count to go on, why are the warnings there? John Mueller provided some insight on Twitter about these warnings, and said that they are not nuanced in the character count they use, but rather look for extremes. We looked into the Search Console report, the thresholds there are quite extreme. You’re either providing a few words or a novel there — neither is useful & imo it’s worth letting sites know about it… or maybe we should just remove the report, that’s an option too. They also were quite specific about why they wouldn’t give specific character counts for meta tags since they can fluctuate and because they don’t want site owners to try and meet specific character counts but to instead use a meta description tag that best suits the page and helps the site visitor. Added to that is the fact Google doesn’t use meta description tags as the snippet in all cases. So some site owners could go to the trouble of matching a specific character count only to have Google not use it or adjust the snippet length in the search results yet again. So why the warnings in Search Console regarding description length? Danny Sullivan from Google has said that these warnings won’t be migrating over to the new Search Console. And also short/long flags in Search Console don’t give specific counts. But even these generic flags are not where we want focus, so they will not migrate to the new Search Console…. Google will keep the other meta related tags, such as duplicate or missing meta tags that are currently used. Useful and actionable flags such as pages with duplicate or missing meta description tags will migrate. We also welcome ideas for other reports that might help with having good snippets. So if you do have use for these tags, especially if you are cleaning up a site that uses extremes in the meta description tags, you might want to make use of this feature before the old Search Console is eventually removed in lieu of the new version.